Arsenal forward Theo Walcott said that he was disappointed with the result against Chelsea. He said that the team prepared themselves well and were hoping that they could get a good result against Chelsea, but unfortunately this did not happen. Theo Walcott was left disappointed with yet another poor performance from Arsenal especially in the second half, as they ended up losing 2-1 to Manchester City. This was the second consecutive defeat for the gunners in the space of three days after they lost to Everton at Goodison Park by the same score. In fact, other elements of the game like Arsenal taking the lead were also largely similar. Against City, a Walcott can with a brilliant effort after just five minutes to tear apart the home team on the counter-attack. England and Arsenal winger Theo Walcott has stated that he wants to reach the target of 10 goals before Christmas. He said that this would not only be a wonderful achievement for him but also will ensure that he gets a coffee machine as a gift from his wife. Arsenal striker Theo Walcott is pained by the loss to Tottenham as the game ended in a 1-1 draw. The Gunners were ahead after the first half at the Emirates but Spurs forced their way into the game courtesy of a Harry Kane penalty after Kevin Wimmer earlier own goal. Arsenal have enjoyed brilliant results in the past few games, making them a serious contender for the Premier League title. November is always a troubling month for Arsenal, and it began on a not-too-good note with the draw. Former Arsenal defender Martin Keown reckons that Arsene Wenger has been right in his judgement of Theo Walcott. A few years ago, Walcott seemed like the next contract rebel at Arsenal. There has been a long list of such players like Cesc Fabregas, Samir Nasri, and Robin Van Persie. However, Walcott remains as one of the stars to have been convinced by Wenger about his role on the pitch. For a long time, Walcott saw himself as a striker but he was convinced by the Frenchman that his best position is as a winger. Arsenal’s Arsene Wenger is wishing and expecting to see Theo Walcott stand out in this new season. 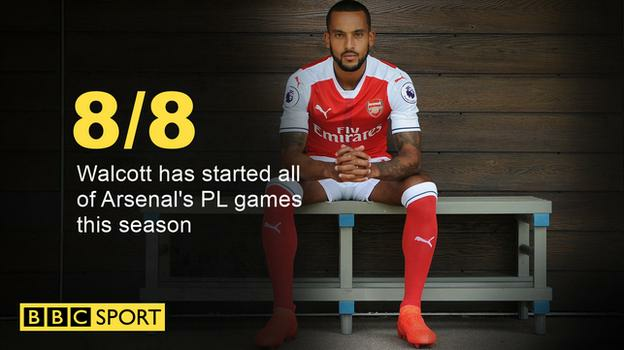 Throughout Walcott’s career as an Arsenal player, he has never managed to live up to the expectations of his manager and as each season passes by, the amount of assists and goals that Walcott has made is not a very surprising amount. 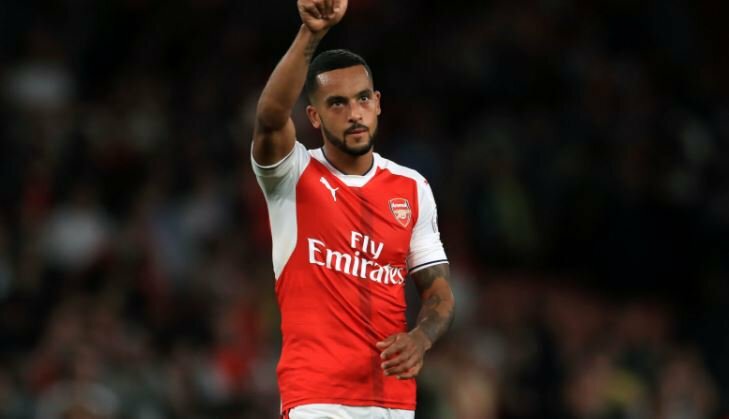 Arsenal coach Arsene Wenger is hoping that his long term interest in Theo Walcott would yield a lot of fruits this season. Many have called for the release of the player due to his poor run for a while, but Wenger has decided to retain his interest in the player going into the new season. Liverpool’s interest in Arsenal winger Theo Walcott may finally have come to an end after the club brought inSadio Mane for a whopping £ 34 million. It is believed that Theo Walcott will be staying ahead of the new season despite rumors that he might be leaving during the summer. Indeed, the England forward has decided to stay with the Gunners and to fight for his place in Arsenal attack.